Elie Wiesel. Wiesel, Elie, 1986, photograph. AP Images. Elie Wiesel. Wiesel, Elie, photograph. AP Images. A survivor of the Nazi concentration camps and the winner of the 1986 Nobel Peace Prize, Elie Wiesel is one of the most important authors of Holocaust literature and an eloquent spokesperson for contemporary Judaism. Throughout his work, he has attempted to comprehend the horror of the concentration camps and the apparent indifference of God, thereby reaffirming his life and faith. Although Wiesel seemingly focuses on exclusively Jewish concerns, the relevance of his work lies in his ability to speak for all persecuted people, and, by extension, for humanity itself. 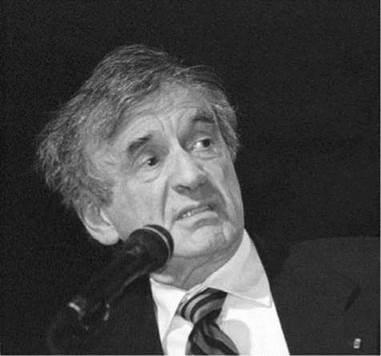 Eliezer Wiesel was born on September 30, 1928, in Sighet, Romania, a town situated in the Carpathian Mountains in northern Transylvania. He was the third of four children and the only son born to Shlomo and Sarah Feig Wiesel. Sighet, which passed from Romanian to Hungarian rule during World War II, is described under various guises in several of Wiesel’s novels. As Wiesel recalled in From the Kingdom of Memory: Reminiscences (1990), Sighet was a typical Jewish town, ‘‘rambunctious and vibrant with beauty and faith,’’ whose inhabitants prayed in Hebrew, spoke Yiddish among themselves, and responded to outsiders in Romanian, Hungarian, or Ruthenian. Jews had lived there since the seventeenth century, developing synagogues, day schools and yeshivas, and various communal institutions, as well as newspapers. Sighet inspired Wiesel’s profound sense of Jewish identity and particularly his belief in the Jewish people and God. A Terror Never to Be Forgotten. Wiesel’s formal education began when he was three years old in traditional Jewish kheder (elementary religious school). His parents encouraged his interest in Hebrew and Yiddish as well as in the teachings of the Hasidic masters and the traditions of the Torah, Talmud, and Kabbala. In the spring of 1944, the Nazis raided Sighet and deported Wiesel, then fifteen years old, and his family to the concentration camps at Birkenau and Auschwitz. Wiesel’s descriptions of the traumatic end of Sighet’s Jewish community capture not only his personal tragedy but the total destruction of Central and Eastern European Jewish life during the Holocaust. The Holocaust was the systemic arrest and murder of millions of European Jews and other populations deemed ‘‘undesirable’’ by the racist Nazi regime. Separated from his mother and sisters upon arrival, he was sent with his father to Auschwitz. When Soviet troops neared the concentration camp in 1945, the captives were forced to march to Buchenwald, another camp. Wiesel’s father died in Buchenwald just days before the United States Army liberated the camp on April 11, 1945. Upon liberation, Wiesel learned that his mother and younger sister had perished in the gas chambers. His older sisters, however, had survived, and years later they and Elie were reunited. Wiesel was evacuated with other child survivors from Germany by the American military, but their train was diverted to France on orders from Charles de Gaulle, head of the French provisional government after World War II. Wiesel was sent to a home for Jewish child survivors in Normandy. Later, in Paris, he found his eldest sister, Hilda. Breaking the Silence About the Concentration Camps. In Paris, Wiesel studied literature at the Sorbonne. Beginning in 1947, he became a journalist, writing for the French-Jewish periodical L’Arche and for the Israeli newspaper Yediot Akharonot. In 1949 he traveled to Israel to cover the War of Independence. His experience as a journalist provided Wiesel with the rigorous discipline he employed in his subsequent writing. But he could not quite bring himself to write about what he had seen at Auschwitz and Buchenwald. Doubtful of his—or of anyone’s—ability to convey the horrible truth without diminishing it, Wiesel vowed never to make the attempt. The young journalist’s self-imposed silence came to an end in 1954, after he met and interviewed the Nobel Prize-winning novelist Francois Mauriac. Deeply moved upon learning of Wiesel’s tragic youth, Mauriac urged him to tell the world of his experiences, to ‘‘bear witness’’ for the millions of men, women, and children whom death had silenced. That meeting set Wiesel on his lifelong career as a Holocaust witness, writer, lecturer, and educator. Over the next year, Wiesel wrote an 800-page Yiddish memoir, And the World Kept Silent, which was published in Argentina in 1956. On Mauriac’s counsel, Wiesel revised, shortened, and translated the Yiddish text into French, giving it the title Night (1958). Night would come to be recognized as one of the most powerful works in Holocaust literature. Life in America. Wiesel moved to the United States in 1955. He followed up Night with Dawn (1961) and The Accident (1962). The three books together are known as the ‘‘Night Trilogy.’’ Wiesel applied for and received U.S. citizenship in 1963, when his French travel papers expired. In 1969, he married Marion Ester Rose, a fellow Holocaust survivor who is now the primary English translator of his works. With the success of his writings, Wiesel has emerged as an important moral voice on issues concerning religion and human rights, as well as one of the most significant witnesses to the Holocaust. 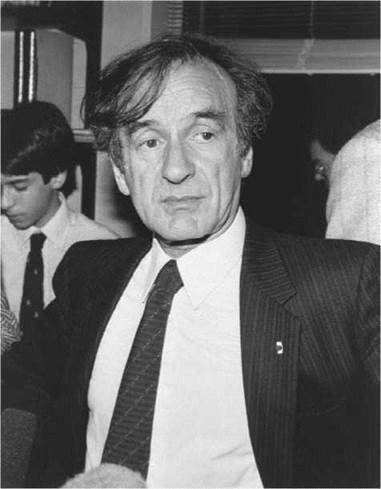 From 1972 to 1976, Wiesel held a full-time position as distinguished professor at City College of New York, where he taught Hasidic texts, Holocaust-related subjects, and Talmud. Throughout this period, Wiesel produced several works about Jewish history and scripture. 1978. Wiesel’s work helped create the United States Holocaust Memorial Museum in Washington, D.C., and the annual ‘‘Days of Remembrance’’ to recall and honor the millions who lost their lives in the Holocaust. During the 1980s, Wiesel spoke out on many international issues, including the maltreatment of Soviet Jews, the suffering of African tribes, the injustice of apartheid in South Africa, and the perils of nuclear weapons. In 1985 President Ronald Reagan awarded Wiesel the United States Congressional Gold Medal. In 1986, the Nobel Committee conferred the Nobel Peace Prize on Wiesel. Memoirs. Wiesel produced two volumes of memoirs: All Rivers Run to the Sea (1995), spanning the years from his childhood to the 1960s, and And the Sea Is Never Full (1996), bringing his story to the present. The author devotes only twenty pages of the first book to his concentration camp experiences. The emphasis is not on those specific events, but on how he has spent the remainder of his life in their shadows. The major literary influences in the life of Elie Wiesel come from his early immersion in study of Jewish texts such as the Torah and Talmud, as well as Jewish history and the lives of the Hasidic masters. A great proportion of Wiesel’s literary output has been Jewish in its overriding occupation with ethical and religious questions. Later, when he studied at the Sorbonne, his teacher Francois Wahl played a significant role in his life, conveying to him the subtleties of French literature. Memory and Shaping Events. Thematically, the writing of Elie Wiesel has been consistent, even singleminded, in its emphasis on the power of shaping events— most crucially, the experience of the concentration camps—to dominate the lives not only of their survivors, but of their children, and entire communities. His writings serve as rituals of collective memory for the Jewish people, and for the world: reminders not to forget the tragedy of the Holocaust. Not surprisingly, then, the issue of memory, and the limits of its power, is another touchstone in Wiesel’s literary work. Wiesel has been an influential force in the ever-expanding literature of the Second World War, as well as twentieth-century Jewish writing. His intense confrontation with the meaning of the concentration camps, and his willingness to speak from a moral perspective on a range of issues, have influenced survivors of war and ethnic violence worldwide to testify publicly about their experiences. Night has been universally acclaimed as one of the most powerful works of literature to come out of World War II, although questions have at times been raised as to the veracity of some of the incidents and images recorded in the memoir. The remainder of Wiesel’s work has been open to a range of critical assessments. He has his detractors, who dismiss many of his plots and characters as mere vehicles for his political and social concerns, and question whether his fiction is art or polemic. Some find that his prose occasionally turns trite. Others take issue with some of his political stances, such as his alleged lack of concern for the plight of the Palestinians. However, most commentators praise his sensitive insight into human behavior, his moral candor, and his status as the virtual living embodiment of Holocaust memory. Doctor Faustus (1947), by Thomas Mann. An elaborate reworking of the legend of Faust, set against the spiritual and intellectual disaster of the Third Reich. The Thin Red Line (1962), by James Jones. A fictional account of the Battle of Guadalcanal, describing the alienation and horrors of American servicemen in the Pacific. Black Rain (1965), by Masuji Ibuse. A novel based on records of the atomic bombing of Hiroshima in 1945 and its aftermath. Slaughterhouse-Five (1969), by Kurt Vonnegut. A tragicomedy of time travel that opens with the firebombing of Dresden. 1. What do you think explains Elie Wiesel’s consuming interest in the Holocaust and its aftermath? How has this interest affected other great humanitarian voices around the world? Describe two other such figures and talk about their influences as well. 2. Elie Wiesel’s life has differed immensely from the life he imagined for himself as he grew up in the Romanian-Jewish shtetl of Sighet. Do some research on Sighet, and try to express some specific ways that Wiesel was shaped by his religious upbringing there. 3. Find three passages in Weisel’s works that you feel demonstrate his most powerful rhetoric and describe how they reflect his postwar passions. Berenbaum, Michael. Elie Wiesel: God, the Holocaust, and the Children of Israel. Springfield, N.J.: Behrman House, 1994. Cargas, Harry James, ed. Responses to Elie Wiesel: Critical Essays by Major Jewish and Christian Scholars. New York: Persea Books, 1978. Chmiel, Mark. Elie Wiesel and the Politics of Moral Leadership. Philadelphia: Temple University Press, 2001. Cohen, Myriam B. Elie Wiesel: Variations sur le silence. La Rochelle, France: Rumeur des ages, 1988. Davis, Colin. Elie Wiesel’s Secretive Texts. Gainesville: University Press of Florida, 1994. Lazo, Caroline Evensen. Elie Wiesel. New York: Macmillan, 1994. Pariser, Michael. Elie Wiesel: Bearing Witness. Brookfield, Conn.: Millbrook Press, 1994. Rosen, Alan, ed. Celebrating Elie Wiesel: Stories, Essays, Reflections. Notre Dame, Ind. : Notre Dame University Press, 1998. Rosenfeld, Alvin. Confronting the Holocaust. Bloomington: Indiana University Press, 1978. Schuman, Michael. Elie Wiesel: Voice from the Holocaust. Berkeley Heights, N.J.: Enslow, 1994. Stern, Ellen Norman. Elie Wiesel: A Voice for Humanity. Philadelphia: Jewish Publication Society, 1996. New Yorker (March 18, 1961); (January 9, 1965); (August 20, 1966); (July 6, 1970); (July 12, 1976). New York Times Book Review (July 16, 1961); (April 15, 1962); (July 5,1964); (January 21,1979); (April 12, 1981); (August 15, 1982); (April 30, 1989); (April 19, 1992): 8; (December 17, 1995): 7. Publishers Weekly (April 6, 1992); (October 16, 1995): 49; (October 23, 1995): 33; (January 15, 1996): 320; (May 20, 1996): 245.